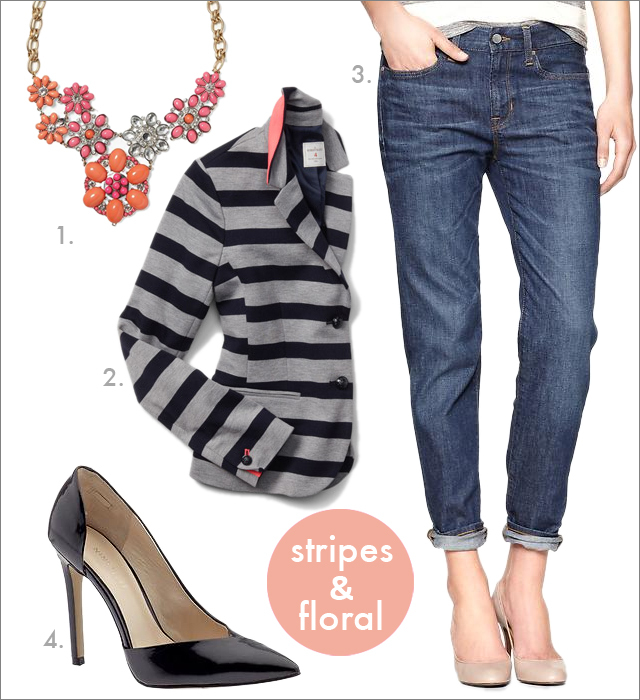 I have been thinking about this striped jacket at Gap (and this other one with neon coral stripes, too). I like the pop of the coral color under the lapel and on the cuffs. In putting this outfit together, I decided to pull in some of the other big trends this season with a floral statement necklace and some relaxed, rolled boyfriend jeans. And, for shoes, a classic black pump, but with an open side detail. I love that jacket and on sale too!